UPDATE: On November 29, 2016, the City Council voted 49-0 to approve the Lexington Gardens II project. The approval will allow Tahl Propp Equities and L+M Development Partners to proceed with the proposed development which will provide 400 new affordable units. One quarter of the affordable units will be permanently affordable under the Mandatory Inclusionary Housing law, and the remainder will be affordable for 40 years under a regulatory agreement with the Department of Housing Preservation and Development. 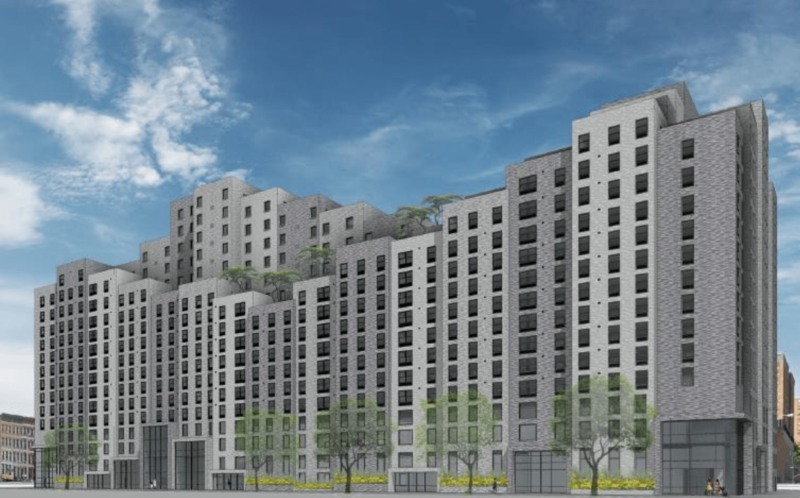 “The Lexington Gardens development will advance the goals of the East Harlem Neighborhood Plan by making sure that hundreds of existing local community members can benefit from affordable units,” said City Council Speaker Melissa Mark-Viverito in a statement. Concerns were raised at City Planning hearing about management team for proposed affordable housing development. On September 21, 2016, the City Planning Commission held a public hearing on an application for a zoning text amendment, a zoning map change, two special permits, an Urban Development Action Area Project designation and approval of the disposition of City-owned property. 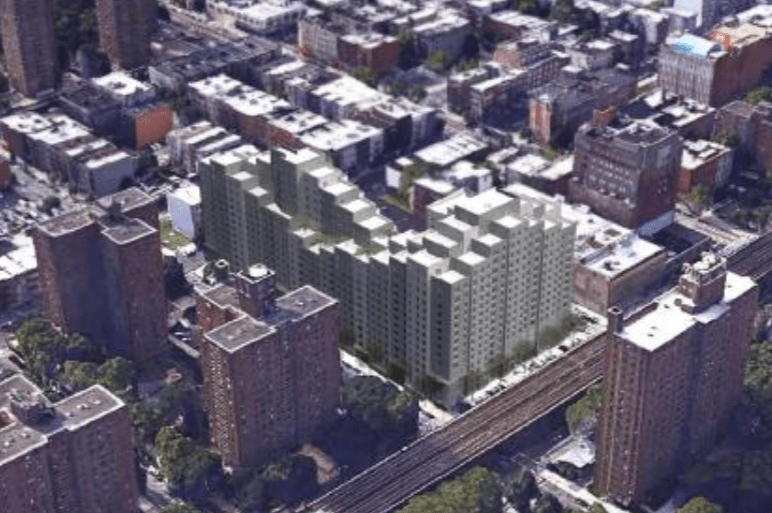 The application would facilitate the redevelopment of a large parking lot in East Harlem into a block wide development. Currently a 108-unit Section 8 building owned by Tahl Propp Equities and surface parking lots owned by the Department of Housing Preservation and Development and partly by Tahl Propp Equities occupy the block. HPD utilizes its portion of the parking for 88 HPD and NYPD vehicles. Tahl Propp Equities, required by its certificate of occupancy and terms of its loan from the U.S. Department of Housing and Urban Development, provided 25 spaces for the Section 8 building. The applicants put forward a plan to build an 8- to 15-story mixed-use development on the block bounded by Lexington Avenue, Park Avenue, 107th Street and 108th Street in Harlem, Manhattan. If approved, the Northside Center for Child Development would relocate its headquarters to a new three-story, 35,000 square foot facility in the development—expanding services and programs available to the East Harlem community. There would be an additional 3,000 square feet ground floor community facility space. The ground floor along Lexington Avenue would contain 4,500 square feet of retail, including a 1,000 square foot mezzanine space. The project would also create 390 total residential units, largely being studios, one- and two-bedroom units. The units would be entirely affordable housing—half of the units would be priced at 50 percent of the average median income ($40,800 per year for a family of three), 30 percent of the units at 80 percent of the average median income ($65,280 per year for a family of three), and 20 percent of the units at 130 percent of the average median income ($106,080 per year for a family of three). Additionally, the development would include two parking garages which would provide 82 parking spaces for a net loss of 31 parking spaces. On July 19, 2016, Manhattan Community Board 11 voted 20-13, with five abstaining, to recommend approval of the application. No letter was provided by the Community Board to explain the division of the vote. At the September 21st public hearing, Kevin Paris, Senior Planner of Manhattan Planning at HPD stated that the 100 percent affordable housing, which targeted a range of affordability, fell in line with Mayor Bill de Blasio’s housing plan to address the housing needs of low income households. Joseph Tahl, of Tahl Propp Equities, responding to the concerns raised by the Borough President, stated that Tahl Propp took its obligations to its tenants very seriously. Tahl pointed out that over the past ten years Tahl Propp has dramatically reduced the number of building code violations on all of its buildings. Further, he pledged to continue working with HPD to continue reducing the violations. Commissioner Larisa Ortiz questioned the variegated massing and bulk distribution of the building along 108th Street. Mark Ginsberg, of Curtis + Ginsberg Architects LLP, explained that the varied massing and façade were to better tie in with the existing NYCHA developments to the north and the west. The building mid-block would be shorter at the street front with a setbacks, and the ends of the building on the avenues would be taller—which is more typical of avenues. Commissioner Anna Hayes Levin asked how the proposed building would meet the existing Section 8 building. Ginsberg explained that the two buildings, besides the seismic gap, would touch. Ginsberg noted that there existing windows which would be covered by the proposed building, but that those windows were for bathrooms which the developer would replace with mechanical ventilation. Commissioner Levin inquired how the developer would deal with noise from the Metro-North line which runs above ground along Park Avenue. Ginsberg explained that the building would have eight to twelve inch thick concrete structural blocks and cavities in the brick so that the wall would dampen train noises effectively. Additionally, he stated that the windows would be made of high quality acoustic material which would cost more but would dampen any noise. Roger Hernandez, spokesperson for El Bario Unite, spoke in opposition to the Lexington Avenue II project. Hernandez expressed concern with the public review and approval by Community Board 11. He argued that four of the members of the board who voted to approve the application had conflicts of interest. Hernandez stated that there should be oversight with the community board voting where there may be conflicts of interest. He charged further that some meetings of the community board’s Land Use Committee are held in secret, and the meetings that were open to the public provided inadequate information regarding the land use applications. 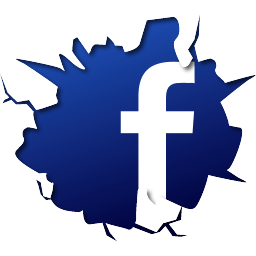 He noted that Speaker Melissa Mark-Viverito, who represents the district, also recently expressed a belief that the process should provide more transparency. Lucien Reynolds, on behalf of Borough President Gale Brewer, spoke in favor of the project but noted the Borough President’s concern regarding the non-permanence of the affordable units that fall outside of the Mandatory Inclusionary Housing requirements. He also expressed concerns regarding the developer and future building manager, Tahl Propp Equities, citing research done by elected officials and tenant advocates which highlighted deteriorating conditions in many buildings acquired by Tahl Propp Equities. Reynolds recommended that a report and redress system be put in place by HPD to insure future compliance beyond the current administration. CPC: Lexington Gardens II, Harlem, Manhattan (C 160336 ZMM; C 160337 ZRM; C 160338 ZSM; C 160339 ZSM; C 160340 HAM).